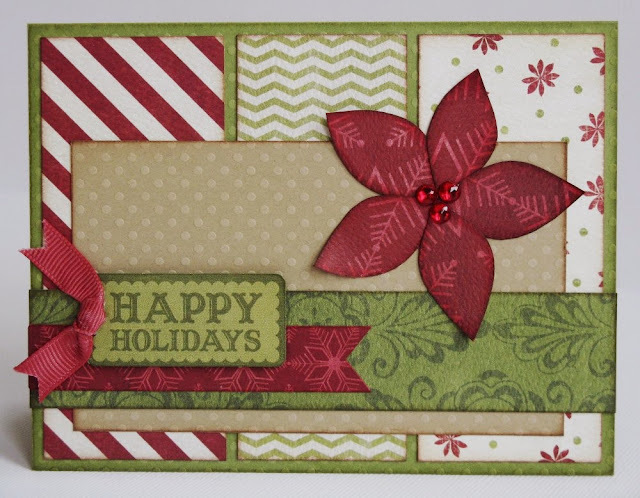 Welcome to Day 13 of my Holiday Inspiration series! 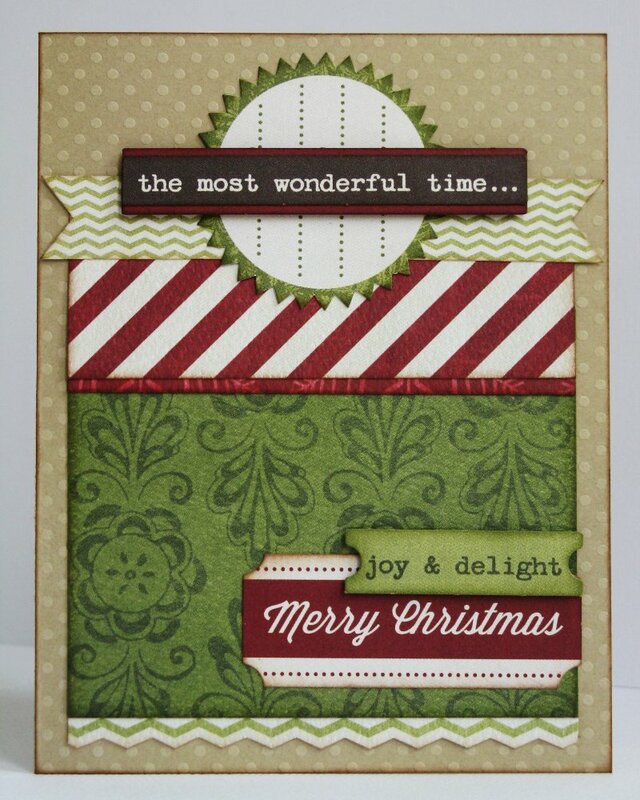 Today I have another card set that I created for Paper Crafts Magazine's challenge to create 5 cards for under $5 (more cards with this idea can be found in their November/December 2013). 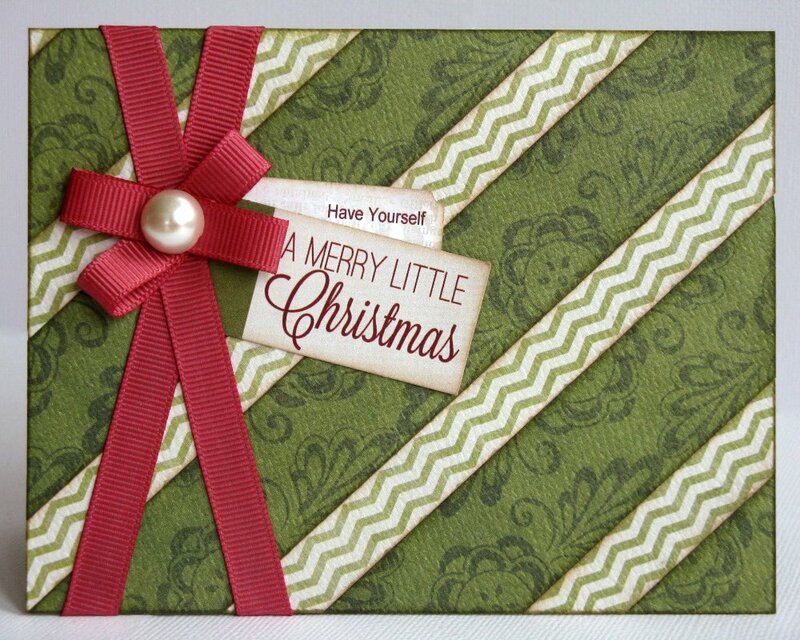 For those that missed my Doodlebug cards with the same challenge, the idea was that they wanted us to create 5 cards for under $5 and the only extra "freebies" we were allowed was ink, our computers and a paper trimmer. 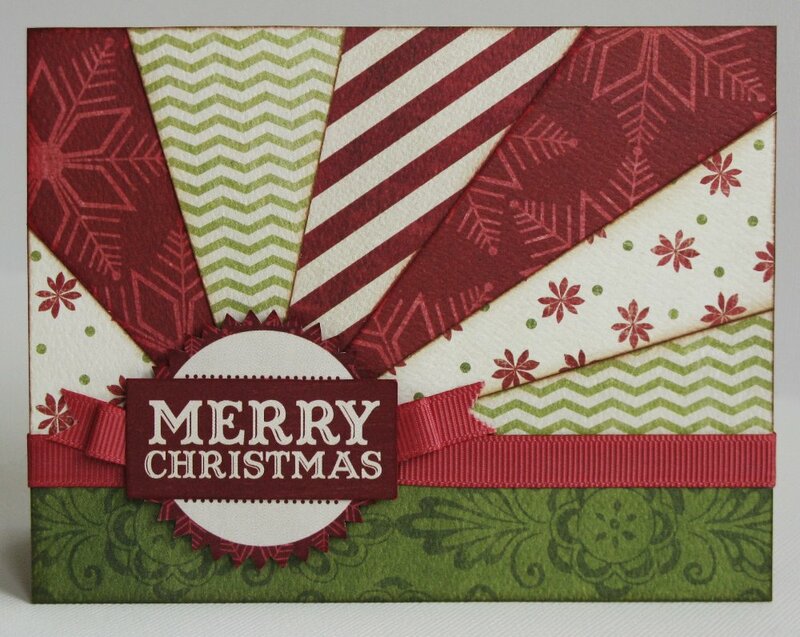 Once again I planned cards that used all straight lines and wouldn't need any special punches or diecuts. I also tried to find sketches that used my cardstock cutouts to their fullest. 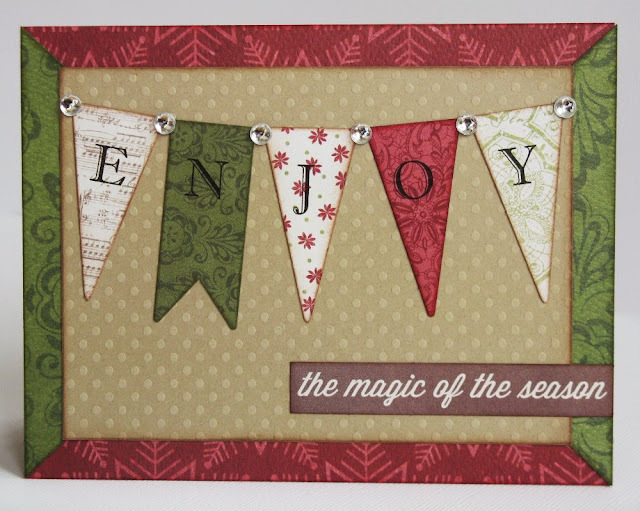 For my banner card, I typed the word "enjoy" on a piece of printer paper with lots of space between each letter. I then used temporary adhesive to adhere my pennants over the top of each letter and ran it through the printer a second time. It took only a little bit of time and sure beat spending a fortune on a alphabet stamp set. I like how the design with the criss-crossed ribbon looks like a wrapped holiday present with gift tags for the sentiment. Many of the sketches I used to inspire today's cards are by Viva La Verge. Once again, I definitely had enough leftover embellishments and patterned papers to create an extra card or two, but this time I ran out of cardstock for my card bases. If you decide try this challenge I would totally love to see your take on it. I imagine if you made 50 cards for $50 you could even add a few tools to the mix. ;) Thanks so much for stopping by.